Don't you just love the beginning of the year? I always see it as an opportunity for a fresh start, to continue the good and learn from the not so good ones. To put it simply, I love getting a new agenda, period. 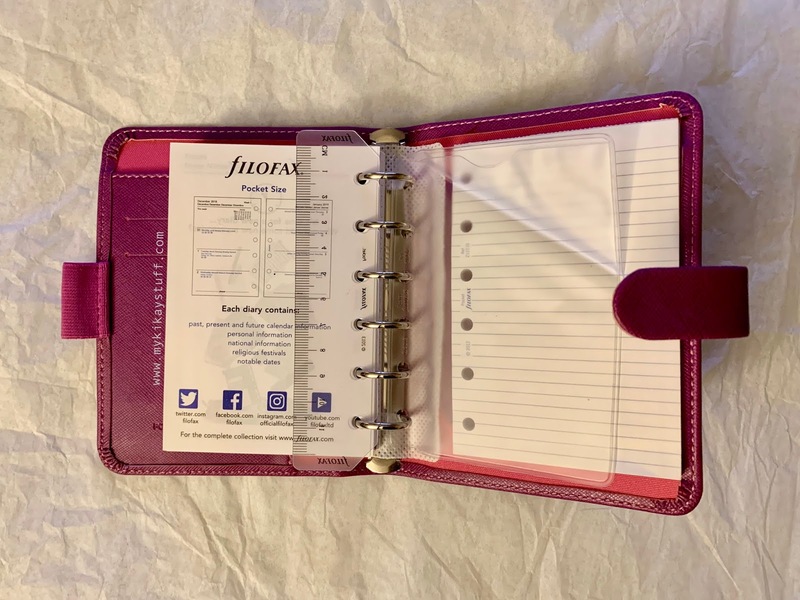 I've always wanted to own a Filofax and this year I just had to get one to finally cross it off my wish list. The main reason was I mistakably bought an agenda refill that's way smaller than my Kate Spade planner. 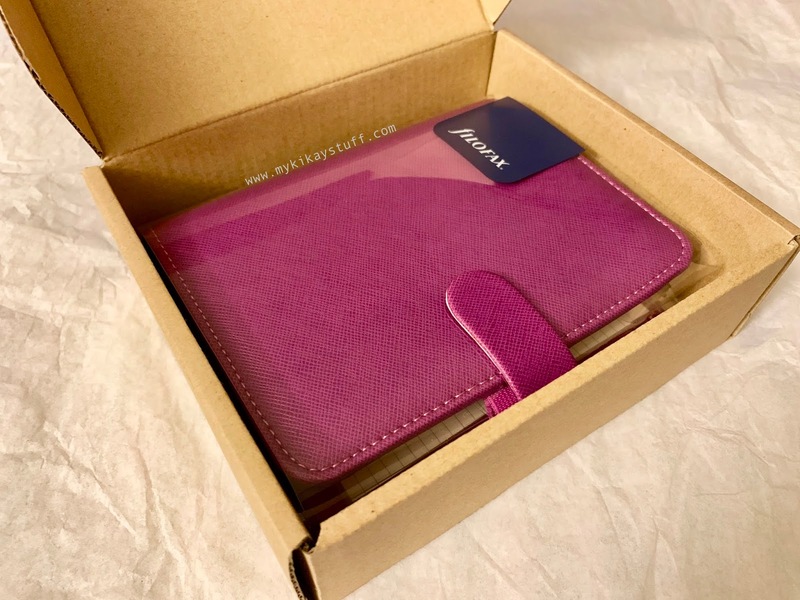 So instead of returning the refill, I decided to buy a pocket size agenda hence this review. I was expecting to get just the agenda folder but it did come with the 2019 refill. 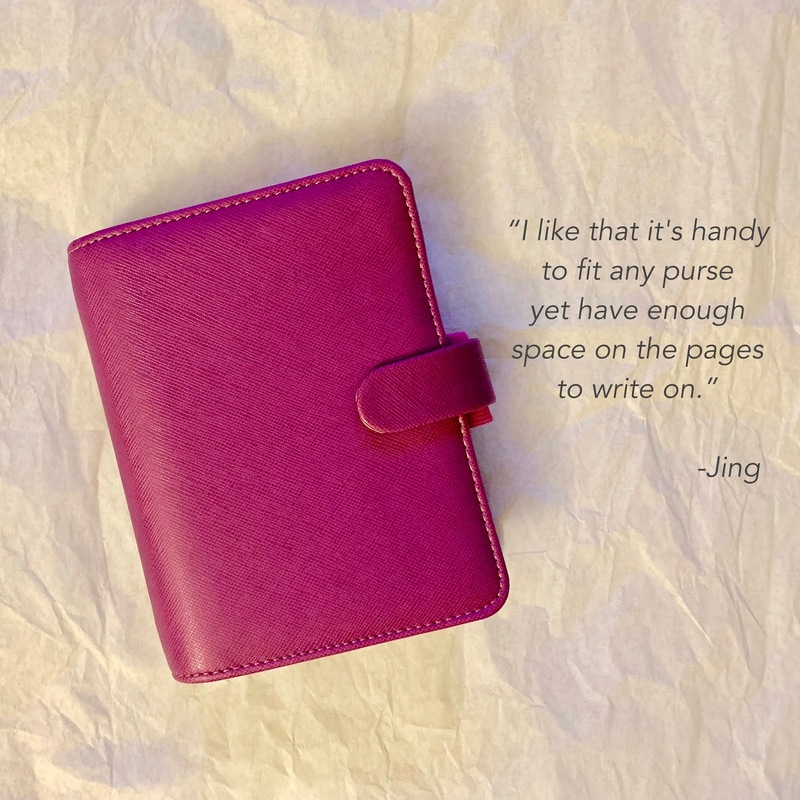 As you can see from the images, I chose the raspberry color in saffiano leather which looks so chic and feminine. Initially I thought the size isn't enough for daily planning but after several weeks of using it, I can now say that a pocket agenda best suits me. It comes with an elastic pen holder which protrudes from the front cover. 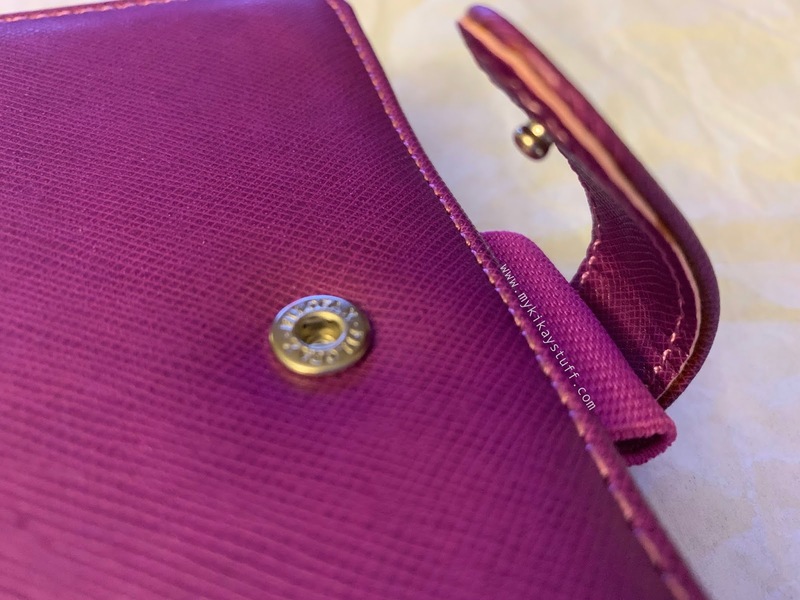 I was quite disappointed that it didn't have a magnetic closure like most leather organizers do although the button works pretty well, I just wish it won't loosen up too soon. Inside the front cover lies a side pocket where I insert receipts. In front are 2 card slots where you can either store your calling cards, ID or credit cards. 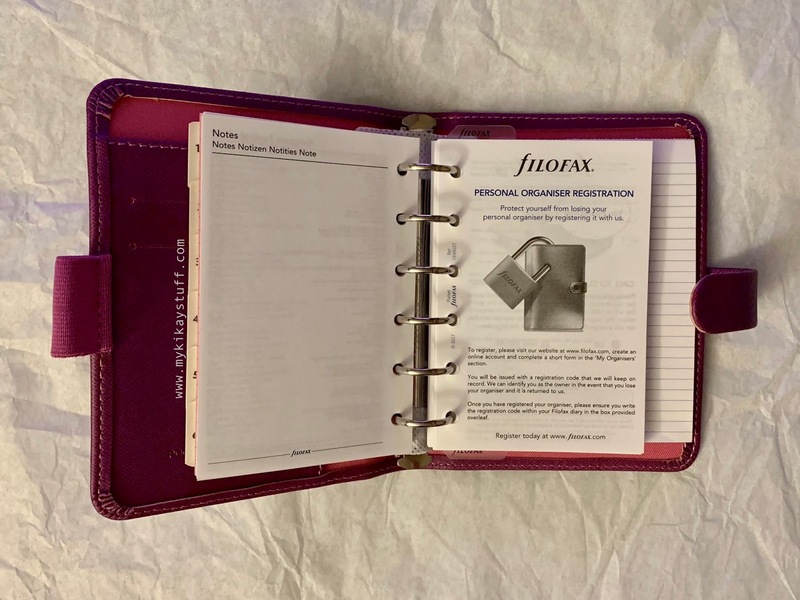 What I find so unique about the Filofax is their Personal Organizer Registration feature. 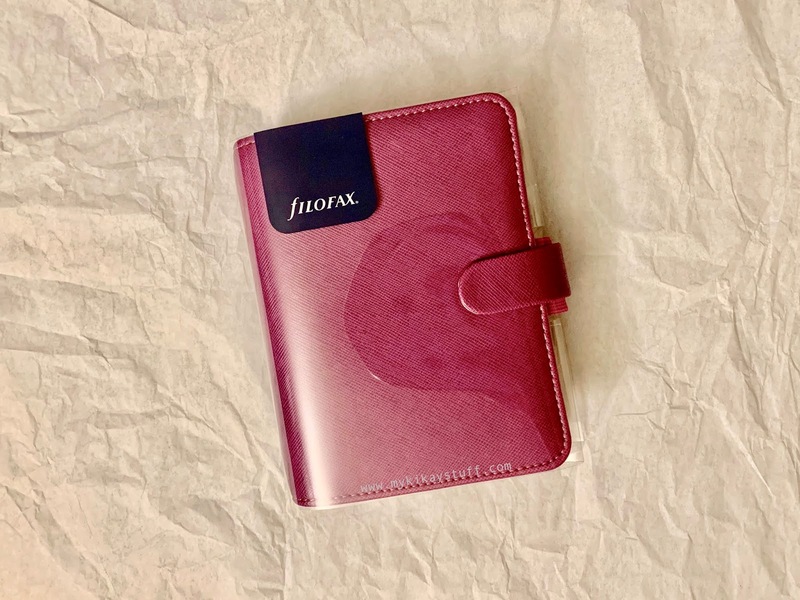 Once you register online, Filofax will send you a code that you need to write on one of the pages in your agenda. 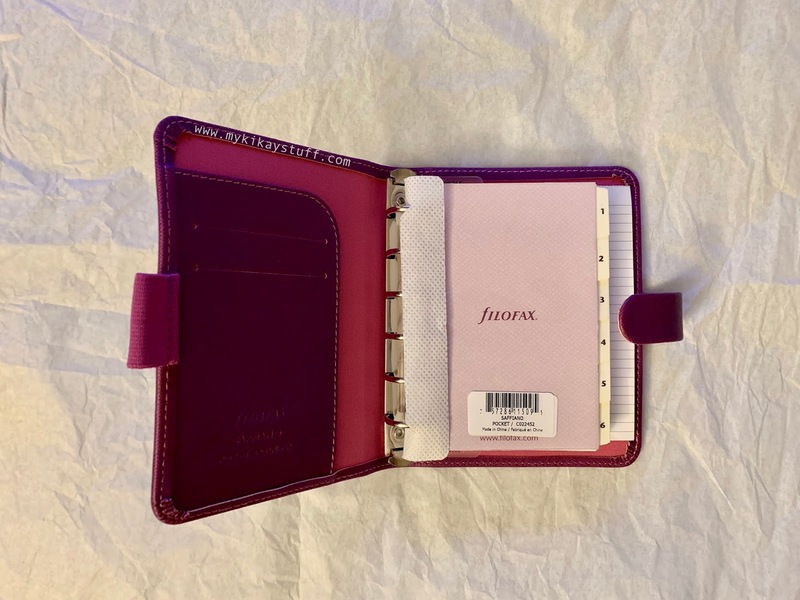 If it gets lost and found anywhere in the world, they will arrange for you to get it back granting the founder contacts Filofax. 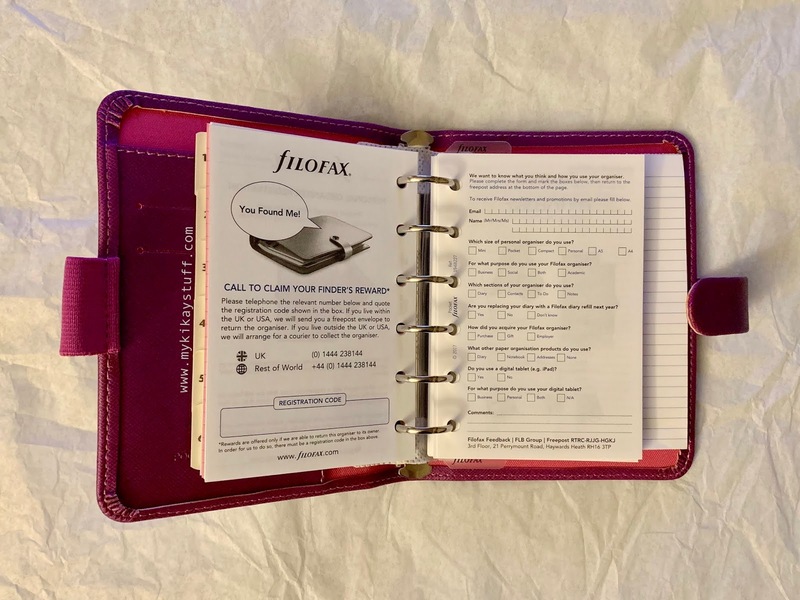 The pages include a personal information sheet, to-do list with a tick box, lined sheets in different paper colors, grids, contacts, 2-year calendar, notable dates list, registration code page, divider cardboards, monthly and weekly spread plus extra lined notes. 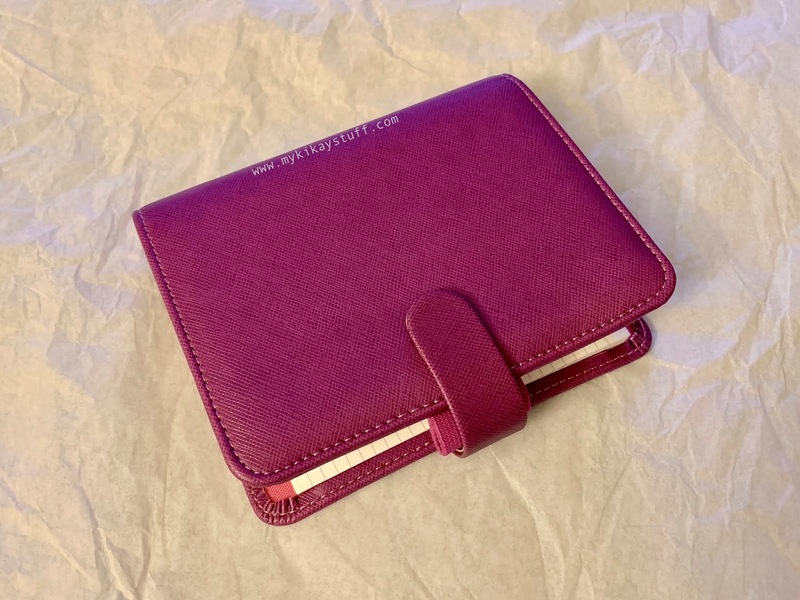 It also comes with an elastic bookmark that doubles as a ruler and a plastic pocket to store extra sheets or in my case I filled it up with page tabs I bought separately. 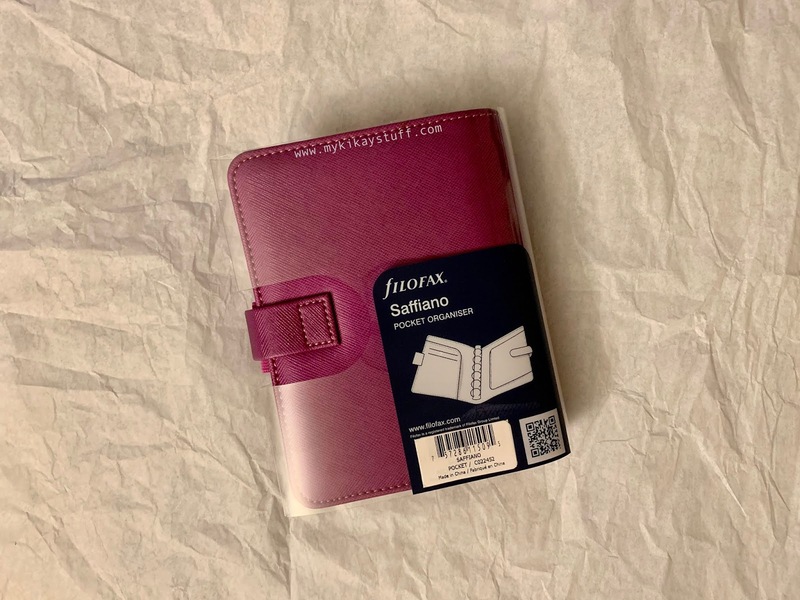 Overall, I love this Filofax saffiano pocket organizer. I like that it's handy to fit any purse yet have enough space on the pages to write on. I do recommend it to those of you who are still undecided which planner to use for this year. Filofax in Manila is available in National Bookstore and if you have access to Amazon you may purchase it online like I did. That's a wrap folks! Thank you for taking time to read this post and do check out the site for other things you might be interested in before you go. Please subscribe if you haven't by clicking the Bloglovin' icon on the right sidebar. You may also see me on social media by ticking the corresponding icon on the left upper corner of this page. Ciao!